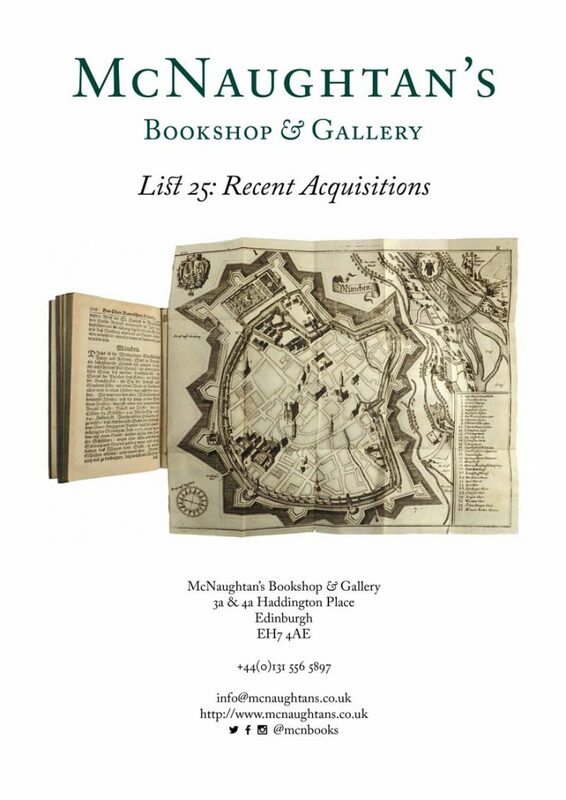 We are pleased to announce List 25: Recent Acquisitions, containing 25 items in a variety of fields, including travel, philosophy, classics, literature, and Scottish subjects. Among the highlights are a profusely illustrated atlas of Bavaria, a rare dissertation on military impressment, an important topographical description of Constantinople, and more. You can read or download the list in PDF format here.